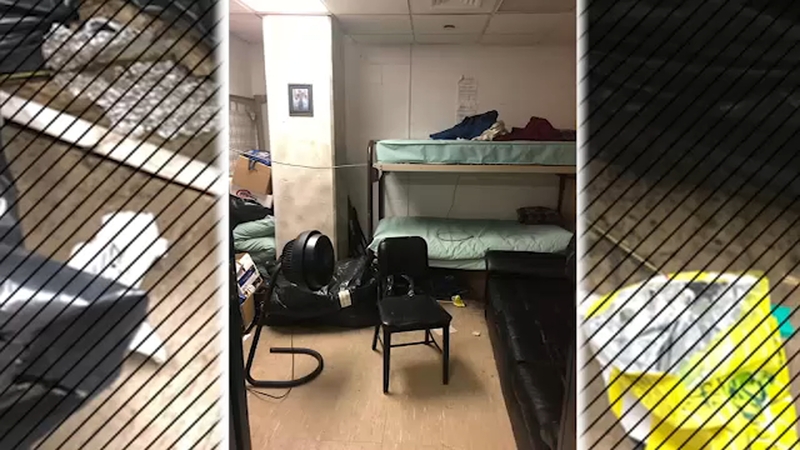 SPRINGFIELD GARDENS, Queens -- A police officer plans to sue the NYPD over what she calls harsh and unsanitary conditions for pumping breast milk. Officer Simone Teagle says she is a nursing mother and she was forced to pump in front of other people and harassed because of it. Teagle, an assistant desk officer at the 113th Precinct, said the comments were so degrading and humiliating by fellow officers she thought about not pumping anymore. The 37-year-old mother says one time a female co-worker told her she looked like she was milking a cow. "What do you say? She shouldn't see me. Why is she watching me? Why is she in here with me? Why don't I have a private place for me to pump?" Teagle said. She says because she was made to feel so uncomfortable, she tried pumping fewer times a day, but that led to painful lumps under her arms and an infection. Privacy isn't the only issue for Officer Teagle. She said she was also harassed by supervising officers for taking multiple breaks. "I would go to the desk and ask for a break and they would ask, and they would kinda be like, 'Well how long do you need a break for' or 'How long does this take' or 'How long is this gonna be,'" Teagle said. Teagle said she complained to several supervising officers and filed two official complaints with the Office of Equal Employment Opportunity, which says were never formally addressed. At that point, she contacted an attorney who filed a $5 million notice of claim last week against the city for violations of federal and state law. "You have one part that's under the Affordable Care Act, on the federal level which gives you up to one year to nurse. And you also have the state law that gives you up to three years. So the police department has been well aware that this law existed for years. They have not planned for it," Teagle's attorney, Eric Sanders, said. On Monday morning, the NYPD acknowledged it is now working to accommodate nursing mothers. "There is a policy out there. Every department facility there is supposed to be a place where that can be done. We are going back to look and make sure that is in fact done," NYPD Police Commissioner James O'Neill said. The NYPD also released a statement saying it issued a policy last year which states, "All new precincts being built will have a private room for employees to express breast milk. With respect to existing precincts, there must be a private room or an office that is not a bathroom, and which can provide an employee with the requested privacy." Teagle has since been moved from the 113th Precinct and reassigned.